This type aster appeals to gardeners everywhere, it is truly a natural bouquet. The flowers are compact, symmetrical and when in full bloom cover the entire plant at one time with as many as 20 long-stemmed flowers. 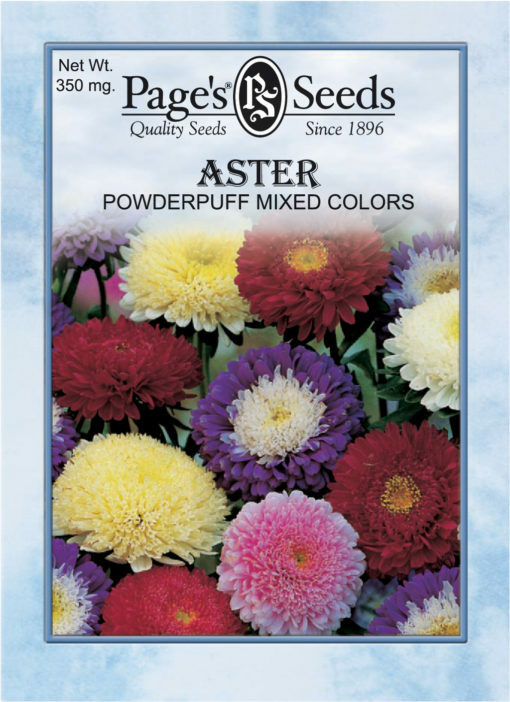 Powderpuffs grow readily in hot summer weather and bloom throughout summer. Excellent for tall borders or beds.